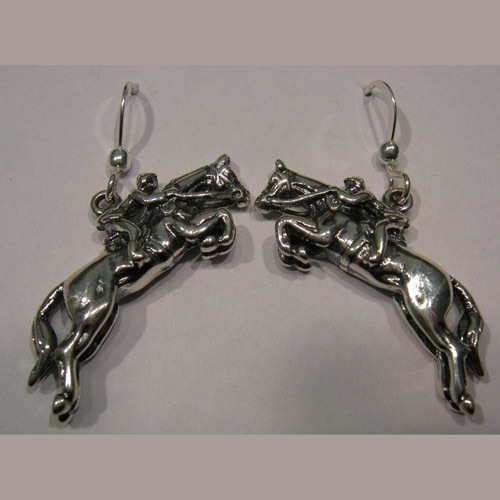 Desc: Sterling Silver hunter jumper dangle earrings. The horse and rider are poised mid-air as jumping an obstacle. The earrings have a bright polish finish. Made in the United States of America.